LFW 2017: Shraddha Kapoor, Preity Zinta, Kalki Koechlin, Radhika Apte Turn Heads As Showstoppers! 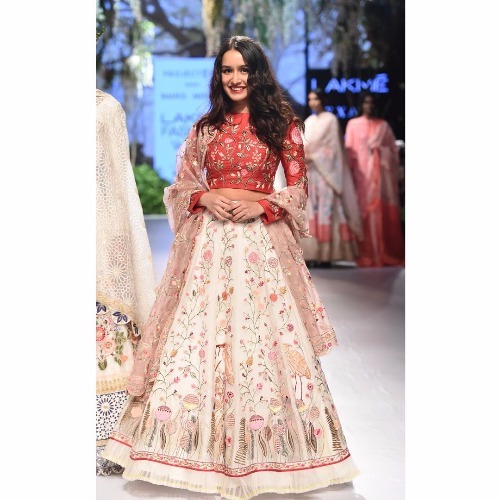 Shraddha Kapoor, Preity Zinta, Kalki Koechlin, Radhika Apte, Esha Gupta, Chitrangada Singh stuns as a showstopper on DAY 3 at Lakme Fashion Week 2017. 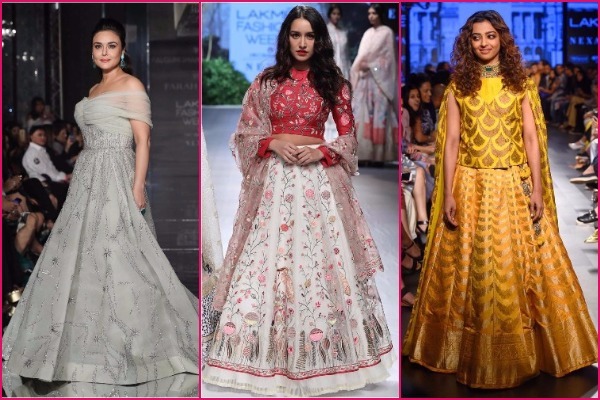 Day 3 of the ongoing Lakme Fashion Week Winter/Festive 2017 witnessed Bollywood beauties Preity Zinta, Kalki Koechlin, Esha Gupta, Radhika Apte, Chitrangada Singh and Shraddha Kapoor as the showstoppers. The ladies turned heads as they walked the ramp for different designers at the much-talked fashion event that is happening in Mumbai. Preity Zinta walked the ramp for designer duo Shane and Falguni Peacock in an simple yet elegant off-shoulder floor-length grey gown and completed her look with emerald earrings. 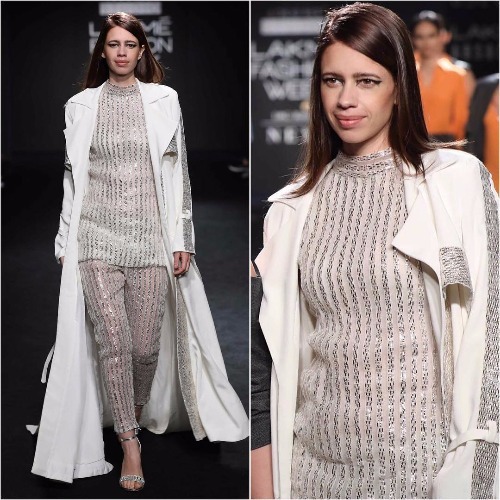 Kalki Koechiln took over the ramp as she sashayed down in a Nikita Mhaisalkar eclectic ensemble. Keeping her hairdo simple and letting her eye-make up and outfit do all the talking, Kalki made her edgy appearance this time again. 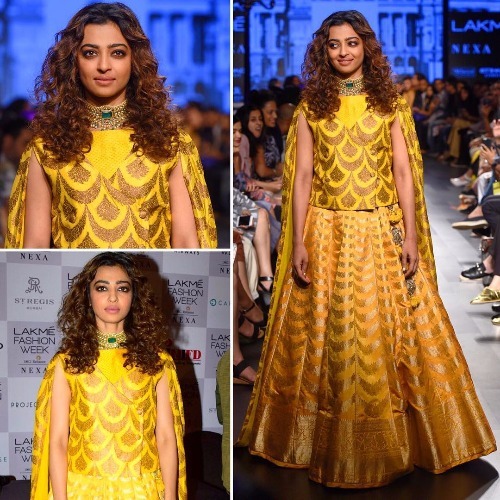 Radhika Apte turned muse for textile designer Sailesh Singhan and she was a picture of elegance in stunning yellow ochre with golden zari lehenga. Another actress who walked the ramp on day 3 was Chitrangada Singh. 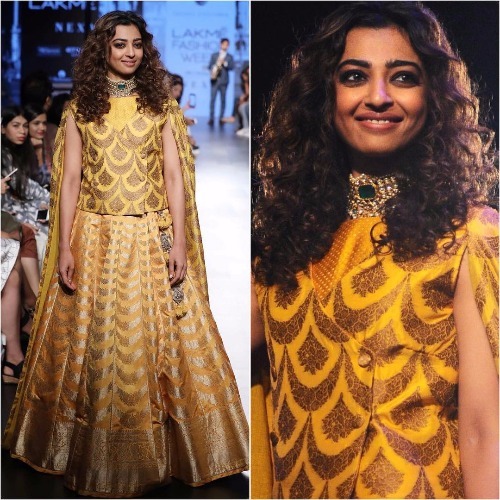 The actress tookover the runway for designer Neha Aggarwal’s collection titled ‘Mithila in Soho’. She looked hot in a printed multi-colored trumpet dress. However, what caught our eyes was the fish sling and dramatic makeup. Esha Gupta made her way for designer Amit Aggarwal in a gold corset blouse teamed up with an stunning blue lehanga. 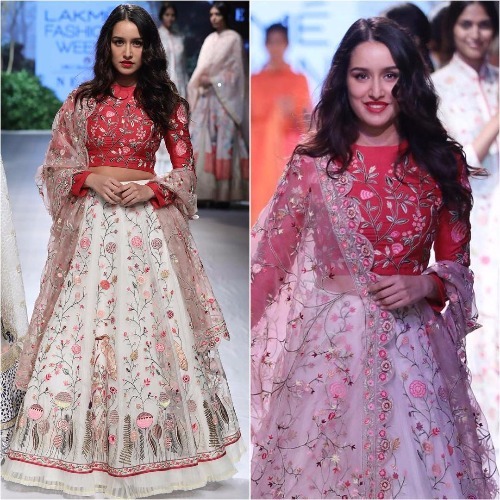 Bollywood actress Shraddha Kapoor turned muse for designer Rahul Mishra. The designer has always been away from calling a Bollywood face as a showstopper but this time, he broke the rule and got Shraddha as his showstopper. Shraddha Kapoor looked elegant in a blowy lehenga with hand embroidered muga silk magenta blouse and the superbly crafted dupatta. Talking about the designer’s collection, it included textiles like Chanderis, Maheshwaris and Banarasis. Rahul Mishra amazingly brought back the heritage, culture with his hand woven motifs. Previous : Photos: Riya Sen Marries Longtime Boyfriend Shivam Tewari, Pregnancy The Reason? Next : Lakme Fashion Week 2017 Day 4: The Quirkiest, Rainbow Clad Ranveer Singh Steals The Show!